It was not ESPN, nor any of the other big sports channels or well-established sports journalists who broke the FIFA story. The real heroes are a small collection of journalists who are largely outsiders. As the big sports media empires frantically spin the FIFA story, they will try to get you to forget that fact. Please do not. Please remember the hard and good work of Jens Weinreich and Andrew Jennings. They are the Woodward and Bernstein of this story. The FBI listened to their essential analysis of FIFA as an organized crime syndicate. If there are Hollywood movies to be made, please scriptwriters tell their story as they have worked for years against great odds and opposition. Edward Gibbon spent six volumes and innumerable years trying to figure out when the Roman Empire began to fall. His analysis spanned centuries of Imperial decadence and the weakening affects of Christian morality. We, however, know the exact day when the current incarnation of FIFA began its demise: December 2, 2010. The moment when Sepp Blatter opened the white envelope and announced to an astonished sports world that FIFA had awarded the hosting rights of the 2022 World Cup to Qatar was the professional death knell of the organization and many of the 22 executives who took part in the vote. FIFA, to that point, had weathered numerous scandals and controversies. But in that action they went one step too far. In that one decision, all the rumours, all the stories, all the scandals came into focus. They had lost any sense of moral advantage. No longer could they claim any moral high ground or use the clichés of ‘good sport’. 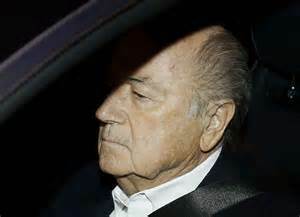 In their awarding the World Cup to a sauna-temperature, security nightmare like Qatar, the FIFA executives revealed themselves for the mostly greedy, senseless lot that they are..
Sepp Blatter will not come back to FIFA in any meaningful way. He will not come back because – finally, finally, finally – some of the top sponsors have spoken against him. FIFA headquarters is the ‘House That Adidas Built’. Almost everything in the organization marches to the drum of the money of sponsors. When some of the big boys – Coca Cola, McDonalds, VISA and Budweiser (but not Adidas, whose former CEO was Blatter’s mentor) – spoke against Sepp Blatter, he was gone within days. 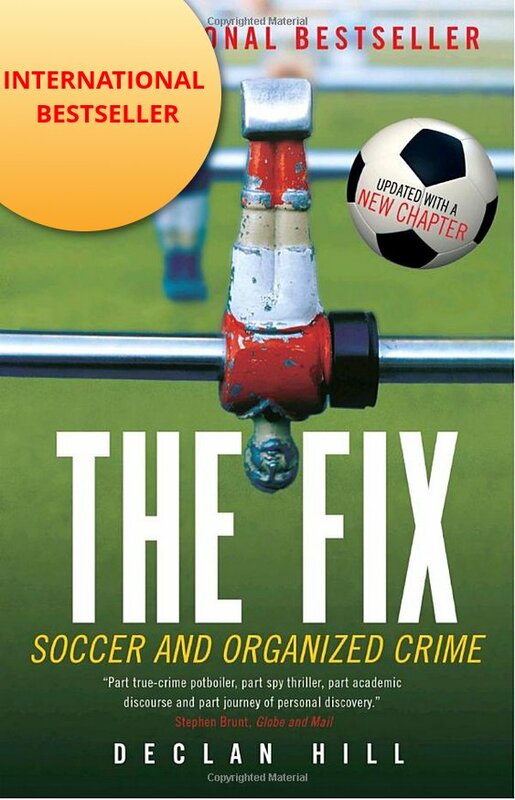 Jens Weinreich believes that FIFA is unravelling, in large part, because its executives are terrified of the FBI investigation and its connected RICO statues. He may be right. The RICO laws were designed to break the stranglehold of traditional organized crime. Back in the pre-Rico day, when a junior mobster received orders from his bosses to beat someone up, there would no fear. The junior mobster might have been arrested and charged with bodily harm. He might even be found guilty and sentenced to a few months in jail. No big deal. Now, however, under the RICO statues if the mobster beats someone up, the prosecutors will charge him with being part of an organized crime “syndicate” (you can see this language in the FBI indictment). Using a RICO charge automatically adds years to a mobster’s sentence. The prosecutors can also charge the senior wise guys who actually ordered the junior mobster to attack the person. However, its real strength is that if they can get the junior mobster to turn state’s evidence, he can, by testifying against the senior people, get off his charges. This is what is going on around the current FBI investigation. There is a competition FIFA executives to see who can testify and lessen their potential punishment. The rats are ratting each other out, but whoever does not, may face a very long jail sentence. Sepp Blatter’s greatest role at FIFA was as a lightening rod for journalists’ attention. Then, as now, the world’s media attention is on events in Zurich. It should not be. Around the world some national football associations are continuing to be unexamined. 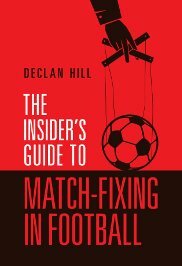 A couple of examples, I have just returned from the Cayman Islands where the football association executives who served with Jeffrey Webb (now under house arrest in Georgia) ran unopposed after disqualifying an opposition election candidate. This combined with a mysterious donation – now called a “loan” – of one-million-dollars from two unnamed companies: and the anti-corruption authorities investigating their accounts – and the Cayman Island government has suspended its funding to its national football association. At least in the Cayman Islands someone is doing something. In Canada, where the finances of the Canadian Soccer Association are never made public (in contrast to the United States), one of the directors on the CSA board has asked to see the financial transactions between the CSA, CONCACAF and FIFA for the last five years. A reasonable request. CSA has refused to release them. The situation at CIFA and CSA are not exceptions. Around the world there are similar circumstances in many other football associations. In the next FIFA presidential election it is this type of executives who will be voting for Blatter’s replacement. Journalists should ignore the events in Zurich and focus on their own national football associations. It is only be cleaning them up that international football will be cleaned up. What FIFA actually needs is a complete tabla rasa – an utterly clean slate of top executives. FIFA needs a group of people to lead it who have no previous ties to the executives of the organization. My favourite is Richard Pound, the man who helped clean (partially) up the IOC. He could be assisted by Alexandra Wrage the Canadian lawyer who walked out of FIFA two-and-a-half years ago after they systematically blocked all her ideas for reform. The former head of the International War Crimes Tribunal Luis Moreno-Ocampo is another person who could bring a credible fresh broom to place. All these good people may be blocked because they have no connections to FIFA. Alright, why not Michel Zen-Ruffinen? He is the former FIFA secretary-general who very publicly accused top executives of corruption and was forced out. Nothing would show the desire of FIFA for genuine reform then to bring Zen-Ruffinen back.